Broadway In Chicago and Producer Stacey Mindich announced that tickets will go on-sale to the general public for the first national touring production of the 2017 Best Musical Tony Award-winner Dear Evan Hansen on Sunday, September 9 at 10:00AM. Fans who "like" the Dear Evan Hansen Facebook page will receive early access to a limited number of tickets from 9:00 - 10:00 AM on Sunday, September 9, online only, via a special access code. Dear Evan Hansen will play Broadway In Chicago's Oriental Theatre (24 W. Randolph) for a limited four-week engagement February 12 - March 10, 2019. "Dear Evan Hansen has seen unprecedented response to our subscription and groups campaign, as well as our pre-sale following the Broadway In Chicago Summer Concert," Eileen LaCario, Vice President of Broadway In Chicago. "As such, tickets for our public on sale are limited and fans will have to act fast!" The winner of six 2017 Tony Awards, including Best Musical, Dear Evan Hansen features a book by Tony Award-winner Steven Levenson, a score by Grammy, Tony and Academy Award winners Benj Pasek & Justin Paul (La La Land, The Greatest Showman), and direction by 4-time Tony Award nominee Michael Greif (Rent, Next to Normal). 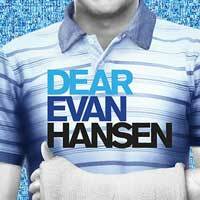 Declared "One of the most remarkable shows in musical theater history" by the Washington Post's Peter Marks, Dear Evan Hansen opened at the Music Box Theatre to rave reviews on December 4, 2016, where it's broken all box office records and has struck a chord with critics and audiences alike. In addition to winning six Tony awards, Dear Evan Hansen has won numerous other awards, including the 2017 Drama League Award for Outstanding Musical Production and for the off-Broadway production, two Obie Awards, a Drama Desk Award, and two Outer Critics Circle Awards and two Helen Hayes Awards. The show's original cast recently won a Daytime Emmy Award for "Best Musical Performance on a Daytime Talk Show" for their April 2017 performance of "You Will Be Found" on NBC's "Today Show," only the second Broadway show in history to win that category.